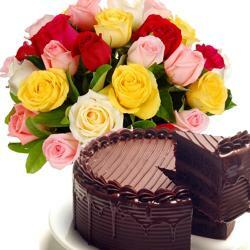 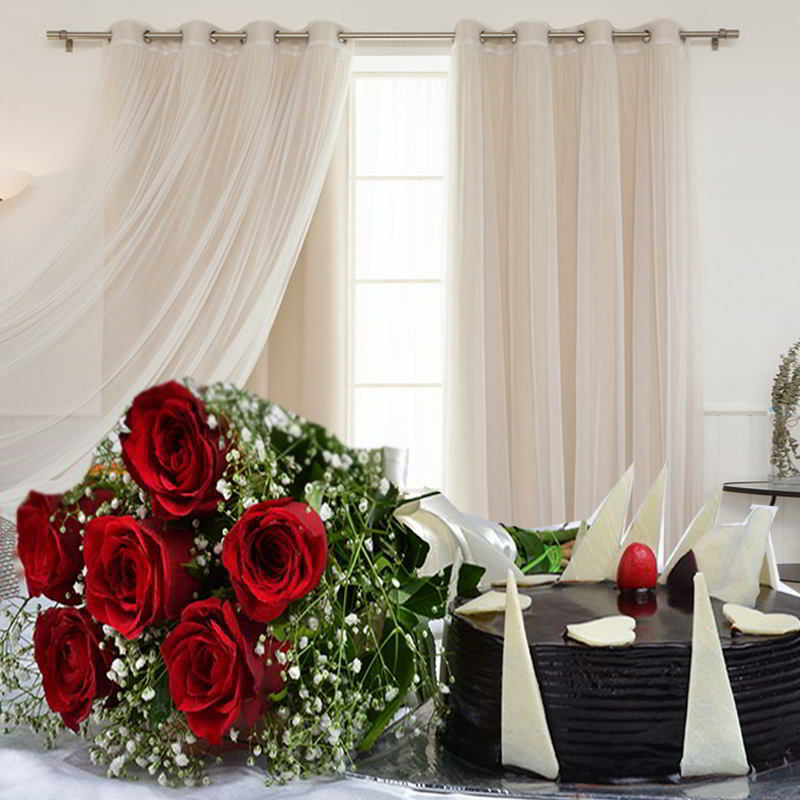 Bunch Of 6 Red Roses In A Net Packing With Matching Ribbon Bow Tied along with 1/2 Kg Chocolate Cake. 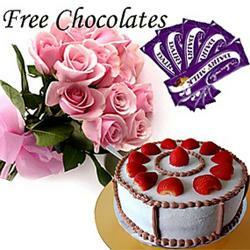 Express your never ended, non stop love to your loved ones in india by sending this lovely combo which includes bunch of 6 red roses and 1/2 kg chocolate cake.this chocolate cake is a pure heavenly treat and will entice your loved ones instantly on their special event. 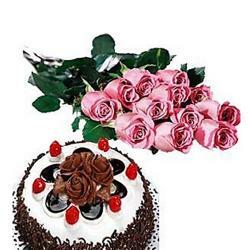 make an everlasting impression on your loved ones with this delightful cake.buy it for a birthday or for a Wedding or for an anniversary it suits every occasion and celebration. 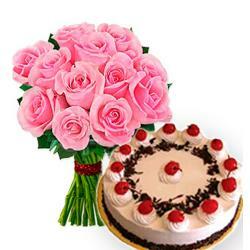 they are also nice present to congratulate people on their feat.